If You Have Sensitive Teeth or Gums then the Nano Tooth Sensitivity Serum is For You! If you’ve been reading this blog awhile, then you’ll already know about my mission for whiter, brighter, cleaner and healthier teeth. From my posts about getting my teeth whitened with Dr Wyman Chan to my amazing hygienist appointments at Neem Tree Fleet Street. What you may not have known however is that at the beginning of the year I was having some teeth and gum sensitivity and I was on the hunt for something that would help it. I had thankfully arranged to go to the fabulous Neem Tree dental clinic in Fleet Street. But I didn’t know what to do in the meantime! I’ve tried pretty much every basic drugstore solution you could possibly try. And teeth wise I’ve tried all sorts of teeth whitening products from at home ones to dentist ones. But I had no idea what to do for a painful tooth or gum. Well apart from panic, google and end up thinking all my teeth were going to fall out etc. So What Did You Try? It was specifically one tooth and surrounding gum at the bottom on the side near the front that was causing me to wince in pain. I still have no idea what on earth caused it. Thankfully around this time I was thankfully sent the Nano Sensitivity Serum kit by the brand Whitewash. 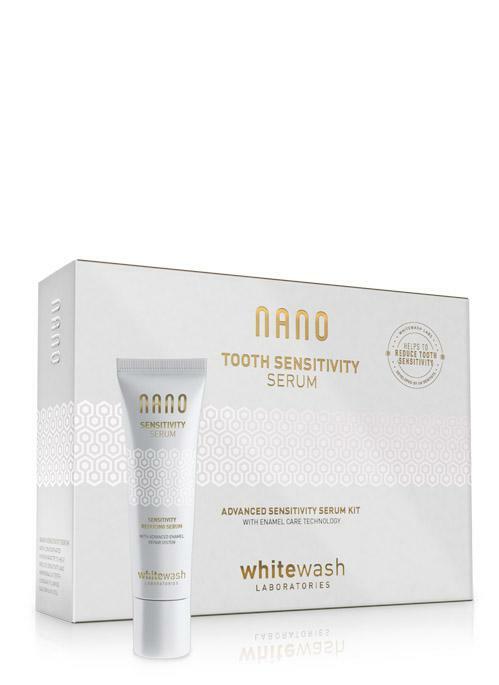 The Nano range has been developed by Whitewash Laboratories, providing a collection of products formulated by dentists, with affordable price-tags. The range includes a number of whitening products and kits all that don’t cause sensitivity and the sensitivity serum kit which I tried. 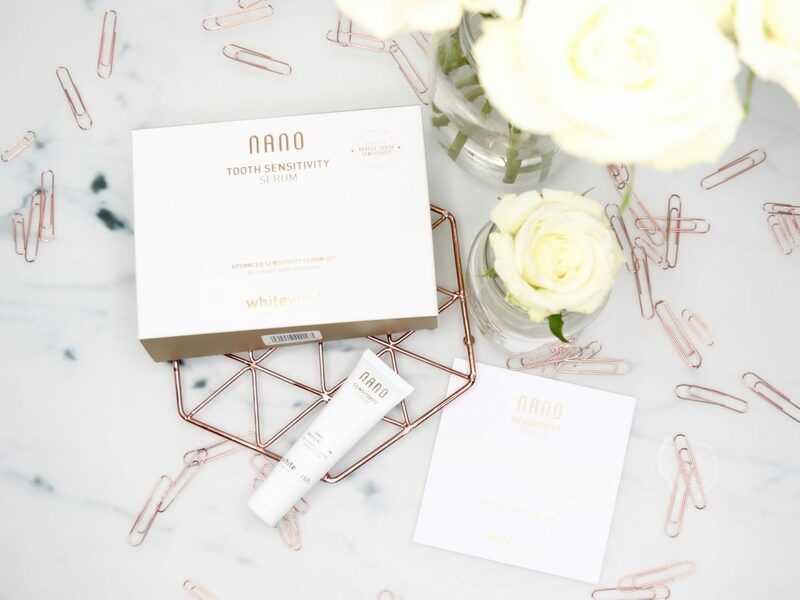 Nano Sensitivity Serum has been designed to help prevent and reduce tooth sensitivity. Developed and formulated by UK dentists, it uses a blend of specially selected ingredients including their advanced Enamel Care Technology which helps to reduce tooth sensitivity and remineralise teeth. Designed for easy application, it can be used with WhiteWash Boil and Bite Mouth Trays or in a custom mouth tray made for you by your dentist. I already had a tray I used for whitening so I just used that. It can also be applied directly to a particularly sensitive tooth by using a clean finger to rub the serum into the tooth for at least 1 minute. Which is what I did when I was in a rush. Absolutely! It did take about 2 goes for it to work fully but it definitely helps to desensitise your painful gums. This is due to the potassium nitrate which works to reduce teeth sensitivity. And the fluoride helps to remineralise teeth. If you don’t know what that means – basically bacteria damaged the enamel in your teeth causing demineralisation, so this product helps to reverse that if its happened. I used it all the way up until I got my hygiene appointment at Neem Tree, to stop the sensitivity and thankfully after the treatment at Neem Tree fixing whatever my issue was caused by (perhaps too much plaque build up) I haven’t needed to use it since. I absolutely recommend this for people with teeth and gum sensitivity. So if you have to use Sensodyne toothpaste all the time, wince when you eat something cold or have ice in your drink, this is definitely one for you to grab to help you out. 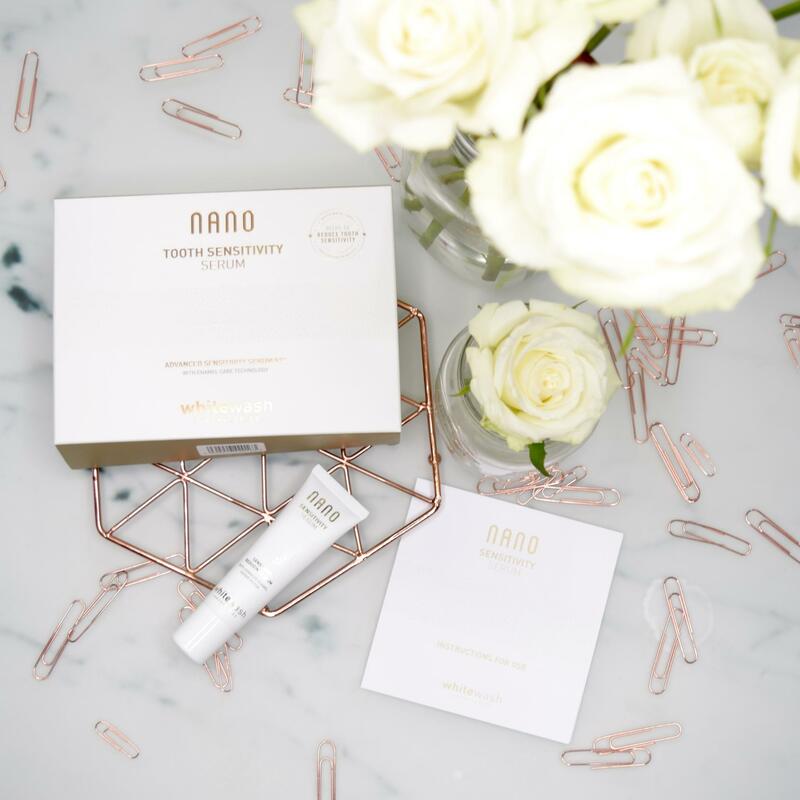 You can buy the Whitewash Nano Sensitivity Serum Kit here for £24.95 with free shipping. It’s such a bargain! I spent so much money on different gels and flossers to help with my gum soreness before I got sent this. I wish I had just bought this originally. Overall this is a really handy product that works quickly and really does help you out if you are in pain. Not the most glam or product reviews but at least the packaging is super cute and it’s not too pricey!